A Massage Therapist and Holistic Health Practitioner since 1994 I am passionate about delivering therapy sessions that ease pain, relax your mind and body, and assist you towards total wellness. I have a fascination with the human body….and the way in which the mind, body and spirit work in sync when we’re realizing optimal wellness. 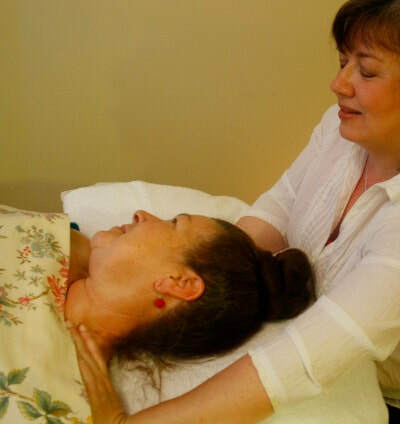 ​In treating clients it is my belief that vitality, happiness, harmony and good health are your natural state of being and that a natural, holistic approach to wellness is the key to achieving that balance. We are not just our bodies nor just our minds, if one is off balance the other is likely affected … and both should be addressed as we journey towards maintaining wellness. Whether you opt for Massage Therapy, Reflexology, Spinal Touch, Ayurvedic Therapies, Reiki etc. you can be assured that I have the skills and expertise to assist you on your healing journey. Active member in good standing with the Natural Health Practitioners of Canada. Deep Tissue or Relaxation Massage for every "body"
I have known Teresa since she began her healing arts journey and she has become an accomplished and trusted practitioner. She is gentle and graceful and knows just how to intuit what my body requires to regain balance and harmony.